“Flipper! 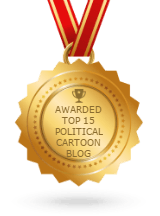 (Not the old TV series)”: Latest ‘News in Cartoons’ App Edition! Be the first on your block to get the hilarious Humor Times app! It’s FREE! New edition: “Flipper! (Not the old TV series, but a new reality TV show! )” In the latest edition of the … Read more“Flipper! (Not the old TV series)”: Latest ‘News in Cartoons’ App Edition! ‘Donald Trump’s European Vacation’: Latest ‘News in Cartoons’ App Edition! Be the first on your block to get the hilarious, FREE Humor Times app! Did we mention it’s free? New edition: “Donald Trump’s European Vacation” – a cartoon review of Trump’s recent scandal-plagued adventure in … Read more‘Donald Trump’s European Vacation’: Latest ‘News in Cartoons’ App Edition! ‘Let’s Fake a Deal: Trump’s Near Miss on the Nobel Prize’: All in the Latest Edition of HT’s FREE ‘News in Cartoons’ App! Be the first on your block to get the hilarious, FREE Humor Times app! Did we mention it’s free? New edition: “Let’s Fake a Deal!” – a cartoon review of Trump’s adventures with North Korea … Read more‘Let’s Fake a Deal: Trump’s Near Miss on the Nobel Prize’: All in the Latest Edition of HT’s FREE ‘News in Cartoons’ App! It’s the Humor Times 27th Anniversary Issue! Don’t miss the Humor Times 27th Anniversary Issue – order a subscription or free sample today! Don’t cry about the news — laugh about it, with the Humor Times! We cover the news like no … Read moreIt’s the Humor Times 27th Anniversary Issue! Rescue Your Sanity in the Age of Trump with the Humor Times Free App! Now available on the Humor Times “News in Cartoons” free app, the latest edition: “Conspiracy Theory.” In the latest edition of the News in Cartoons Humor Times free app, titled Conspiracy Theory: All a smokescreen … Read moreRescue Your Sanity in the Age of Trump with the Humor Times Free App! ‘A Tale of Two Sociopaths’: Latest Edition of HT’s FREE App! Now available on our free Humor Times “News in Cartoons” app, the new edition: “A Tale of Two Sociopaths.” In the latest edition of the News in Cartoons Humor Times app, called A Tale of … Read more‘A Tale of Two Sociopaths’: Latest Edition of HT’s FREE App! ‘Take a Knee and Bow Down to Guns’: Latest Edition of HT’s FREE App! Now available on our free Humor Times “News in Cartoons” app, the new edition: “Take a Knee and Bow Down to Guns.” In the latest edition of the News in Cartoons Humor Times app, called … Read more‘Take a Knee and Bow Down to Guns’: Latest Edition of HT’s FREE App! ‘Total Eclipse of Tolerance?’: Latest Edition of HT’s FREE App! New edition: “Total Eclipse: Hate tries to eclipse tolerance in Trump’s America” – Now available on our FREE Humor Times “News in Cartoons” app! In the latest edition of the News in Cartoons Humor Times … Read more‘Total Eclipse of Tolerance?’: Latest Edition of HT’s FREE App!